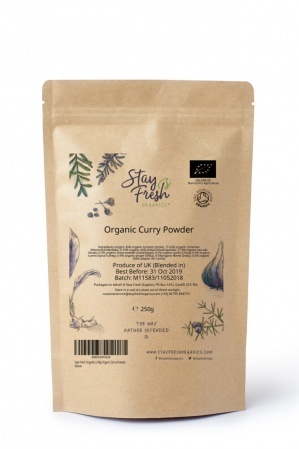 A delicious blend of organic turmeric, organic coriander, organic chilli, organic sea salt, organic onion powder, organic garlic, organic cumin, organic ginger, organic fennel & organic black pepper. Aromatic, spicy, fairly strong and full of flavour. Will bring your cooking to life. 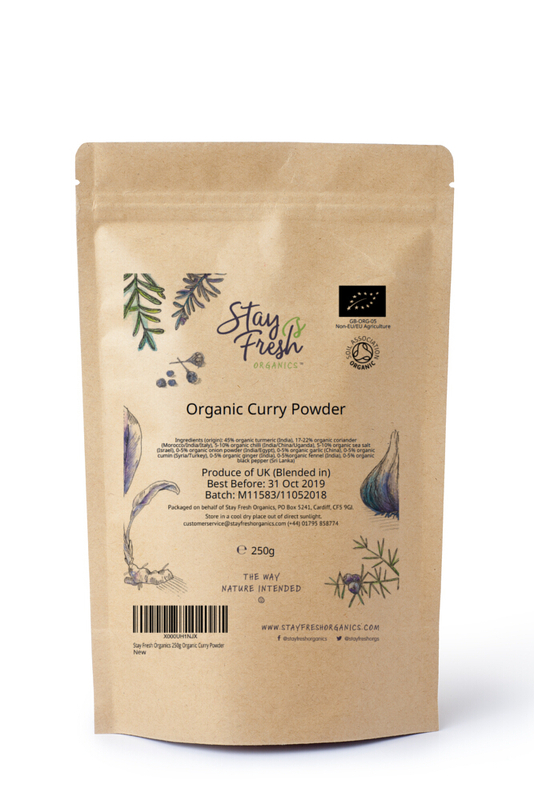 Grown the way nature intended on organic farms, and packaged in eco-friendly packaging. 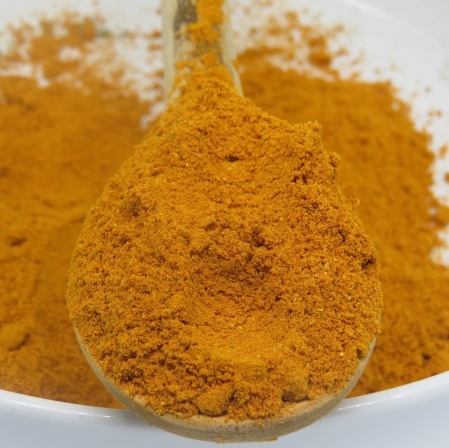 100% organic curry powder - see blend above.